The coral reefs on Earth are in great danger. According to the reports, one in four of these sensitive ecosystems has been damaged in a way that cannot be repaired due to bleaching, overfishing and negligence in the tourism sector. The remaining two thirds face the same danger. 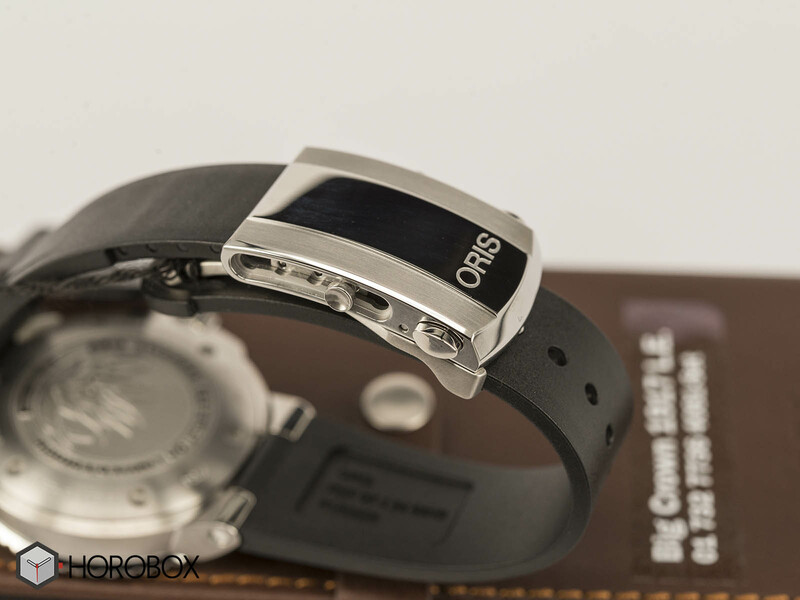 Oris wants to reverse this situation and raise awareness with its new limited production timepiece. 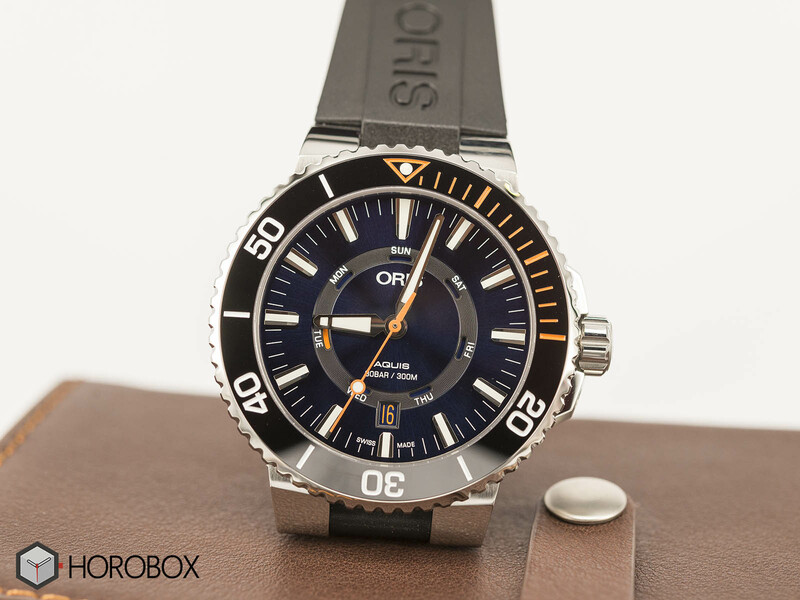 The new model, which Oris aims to support the work of the Oris Coral Conservation Foundation with a portion of the income from the sales, is limited to 2000 units only. Before I proceed to my review, I would like to give an example of the work that the Florida-based Coral Conservation Foundation has done up to now: The foundation has made significant changes for the oceans around the world. In 2015, with volunteer projects for re-planting, 22,502 new reefs have been cultivated and are preparing to revive 40,000 natural reefs. It is also home to 72 diving programs to educate and inspire "volunteer tourists" to protect the ocean and take action. The new model comes in a stainless steel case measuring 43.5mm in diameter. The front side features a scratch resistant sapphire crystal surrounded by a uni-directional bezel made of ceramic. 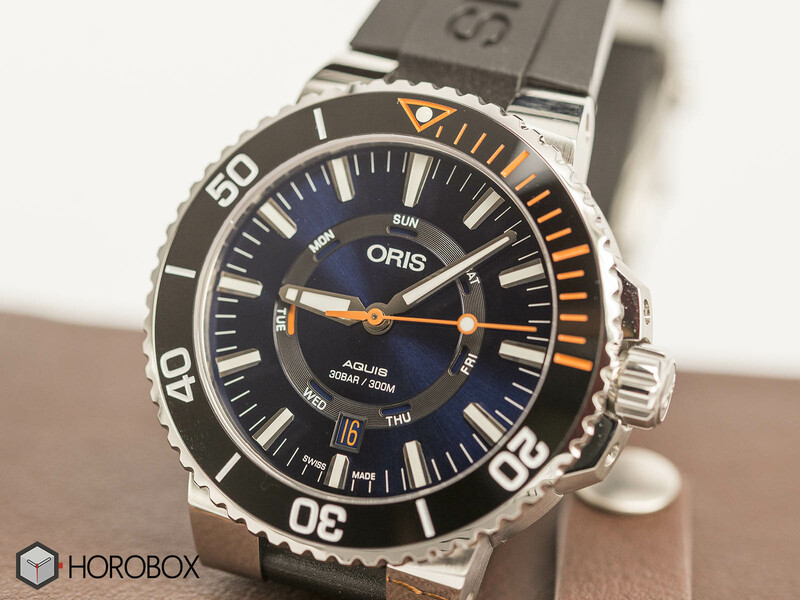 The case is based on the new Aquis collection released recently and it is water resistant to 300 meters. 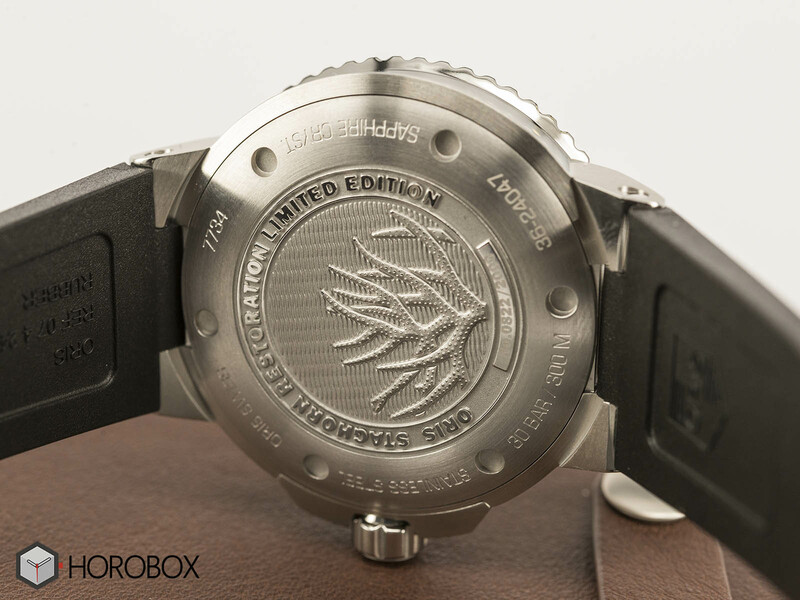 The solid stainless steel case back features a coral shaped engraving together with the production number of the piece. The blue dial is accompanied with orange details. The second hand, the date display and the sport orange accents. 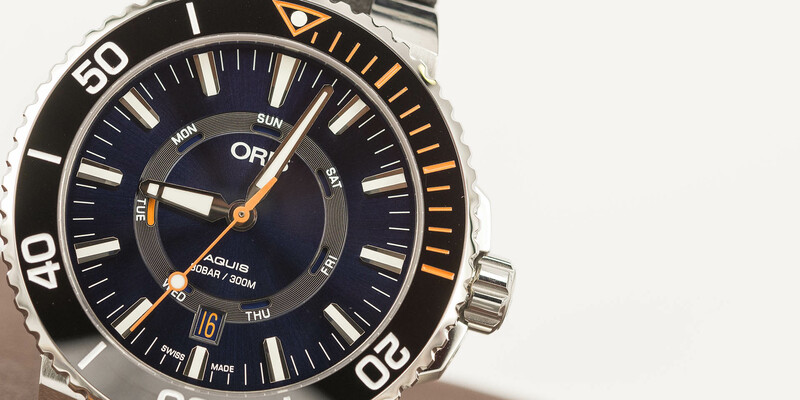 Oris preferred to use a round date display for the watch which brings heat to the dial. The hands and indices are quite big and filled with SuperLuminova phosphor material which results with excellent legibility at dark. 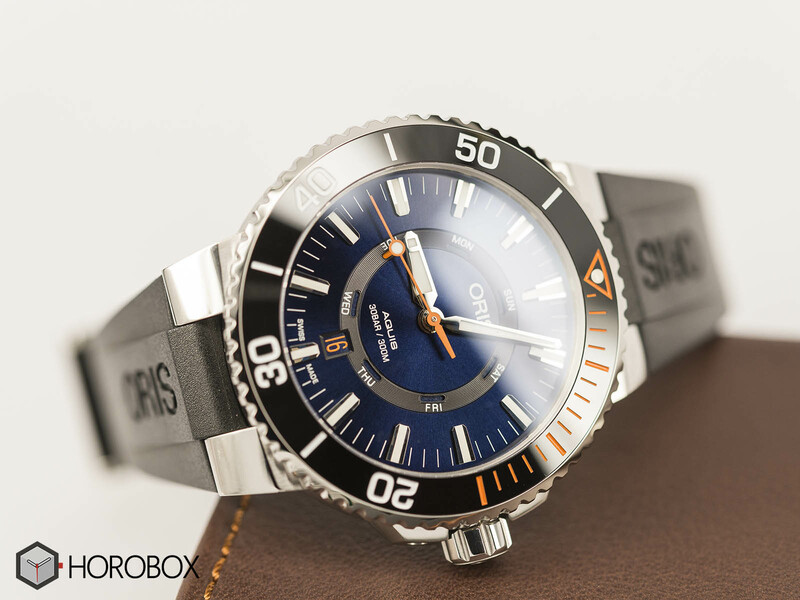 Oris Staghorn Restoration Limited Edition is powered with the Caliber Ref.735. The self-winding movement, which is actually a modified Sellita SW 220-1, offers 38 hours power reserve when fully wound. The new model comes with a silicone strap but this time you do not have to cut the strap to adjust to your wrist. The silicone strap is secured with a gliding clasp. 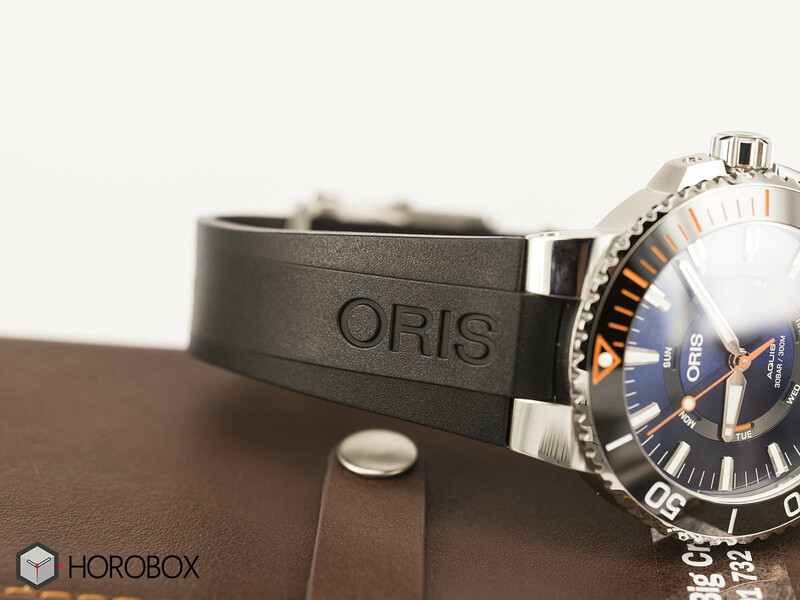 Oris Staghorn Restoration is also with a steel bracelet as well.